One of the perks of having marine conservationist friends, is that you have the inside scoop to the many islands they work in. 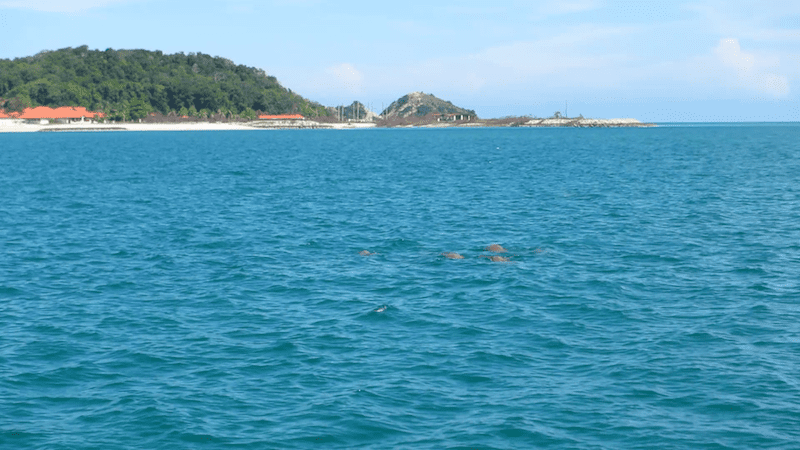 I already knew about the endangered dugong population of Pulau Sibu, because a friend from my time in the Perhentian Islands is now involved in that research. 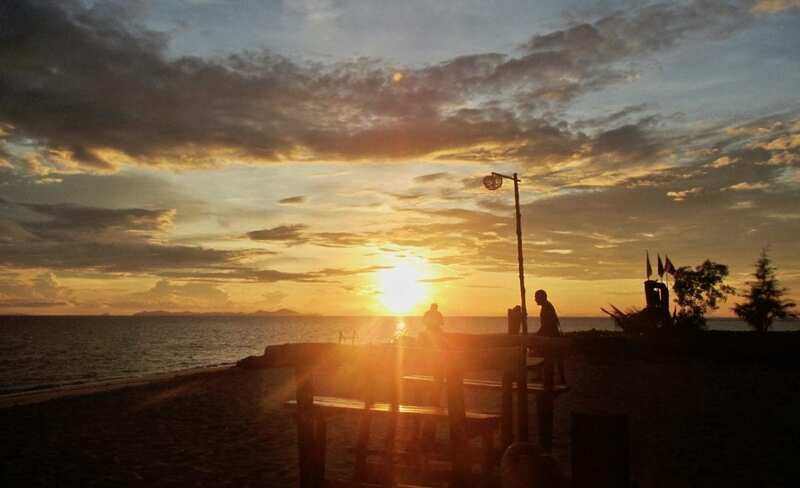 It was, in fact, a key reason why we chose Sibu Island over other East Coast island options like Tioman or Perhentian. We thought we could learn a bit about dugongs. And if we’re super lucky, maybe perhaps possibly hopefully catch a glimpse of them. But it was only when we arrived that I learned just how unique Pulau Sibu really is. 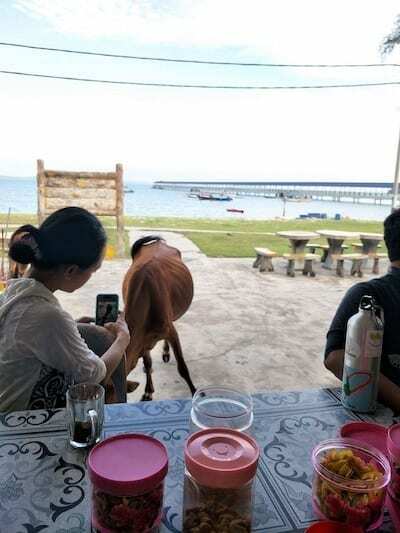 3.1 The wild cattle of Sibu Island! 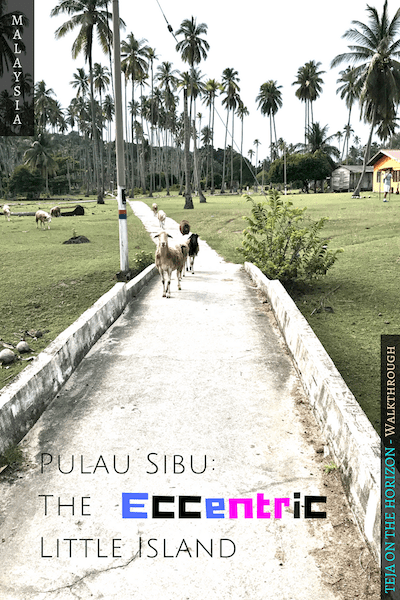 3.2 The tropical sheep of Sibu Island! Pulau Sibu is located off of the east coast of Johor, the most southerly of Malaysia’s peninsular states. 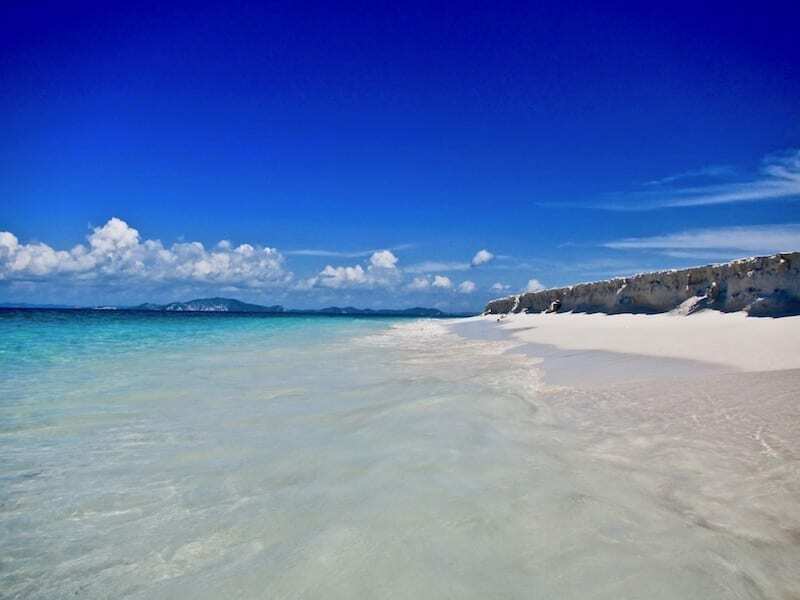 Connectivity is less established than for the more popular peninsular East Coast islands such as Perhentian and Redang, which allows it to retain an understated ambience. There are a small number of resorts on the island. This being Asia, they will facilitate transfers from the major cities for you. However, it is also an easy drive to Tanjung Leman jetty in Mersing. So we decided we would drive it ourselves. The roads from Kuala Lumpur to Mersing are good. 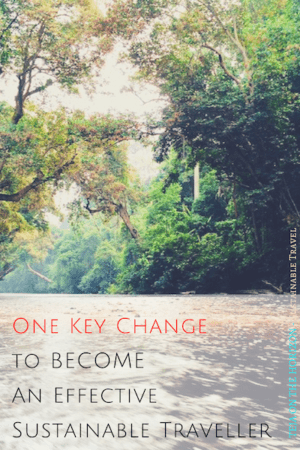 But by the time we got to Mersing, I was worried about missing the appointed time for the boat transfer, because I felt we needed to double back a little bit to refuel the car. We had not started the drive with a full tank, since I was so used to the fuel efficiency of my Toyota Yaris. But the interval between petrol stations grow longer in these rural areas of Malaysia. I felt better to actually reach one and get rid of the orange fuel light that had come on for some time. Thoughts of being stranded in Mersing upon return from the island chafed at my uber-planning circuits. But we arrived in good time, after all. We parked at the open air parking area of the jetty, where plenty of parking was available. The jetty complex is a small one, with small kiosks and restaurant within the building prior to the jetty proper. We discovered there was a bit of a wait for the boat to arrive. The resort had alerted us beforehand that the exact time might vary depending on tide conditions. Meanwhile we were directed to the Marine Park fee collection counter. Pulau Sibu is located within the area of Sultan Iskandar Marine Park. It is also known as Pulau Tinggi Marine Park, after the largest island in the marine park. Hence, fees are levied from visitors to support conservation activities. 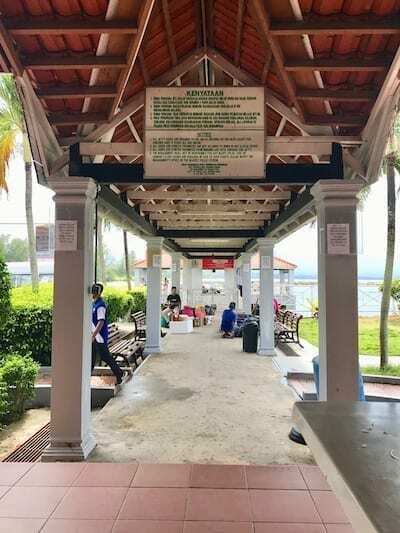 The Marine Park fee collection counter is at the jetty fee counter. However they are not the same, and are separate fees (neither are expensive in 2017). This is next to the boat ticket counter, which you will not need if you have pre-arranged transfers from a resort. Upon payment the counter staff is supposed to give you a receipt. 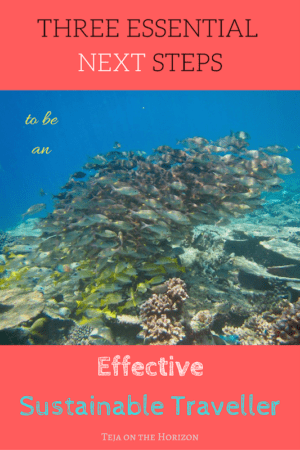 You will need to show this to the resort staff, in order to be taken on snorkelling or diving trips. We were there at about 4pm, but found the marine park counter already closed. So, in our case, it was a de facto ‘free’ trip. We later told our resort what had happened, to explain why we didn’t have the fee payment slip (they checked when we booked a snorkel trip). Like most boat transfers in Malaysia, we went by speedboat. It took under an hour. Not all beaches on Sibu Island are equipped with a jetty. 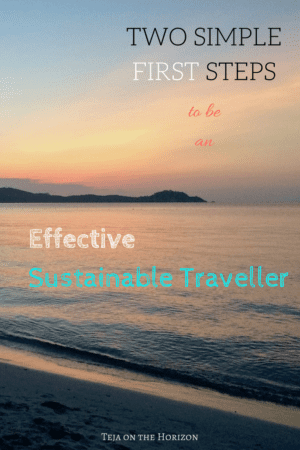 We opted to stay at a secluded resort north of the island, because of their sustainability efforts. Since it was just a small beach, and exclusive to the resort, there was no jetty. The speedboat landed us by beaching. Staff from the resort were waiting to assist us off the boat. This is very normal for Malaysian islands. It is best to ensure clothing and footwear on boat transfer days are appropriate for disembarking into ankle- or calf-length water. Sibu Island is not very big at all. You could walk the length of it north and south easily in a day – and back. The village is located in the south part of the island, where the main jetty is. There are small roads in this area and up to the narrow neck in the middle of the island. Beyond this is a hike to the resorts in the northern part of the island. The final part to Rimba Resort, where we stayed, is a short hike over rocky coastline and through jungle. By the time we met up with my friend the following morning, the hikes that we did should have alerted us already to the special situation of Sibu Island. But it did not register to me until he pointed it out. I stared at him. As he listed them all, I realised I either knew about it already, or had just hiked across it in the last 24 hours. 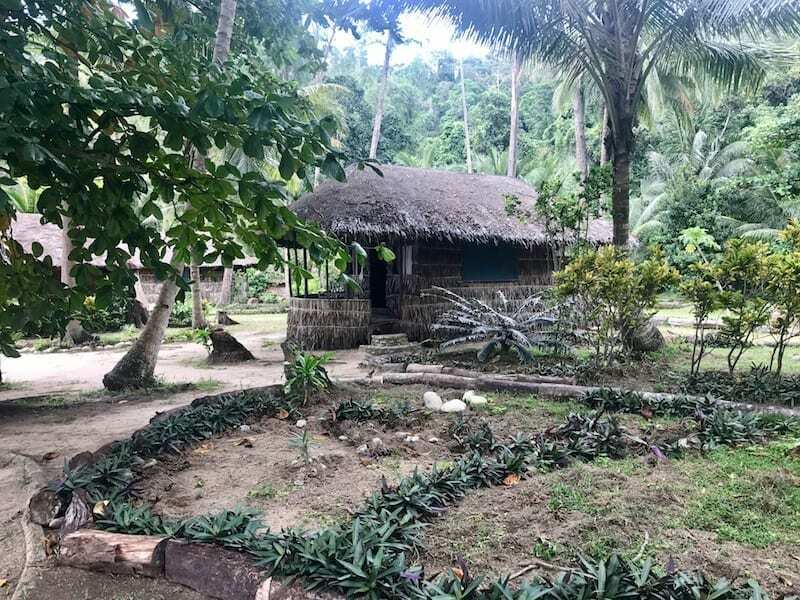 He was right – for an island so small, it was amazing! The hike south from the resort emerges from the jungle on the east side of the island onto an incredible rock shore formation. The rocks are furrowed and pitted by the patient efforts of water over time, shot through with maroon iron veins. Indeed, the north part of the island seems rich with rocky shoreline. The mornings are lovely in the magic hour. The tide is slack and the water nearly still. The rock pools clear mirrors of the sky above. Utter peace. 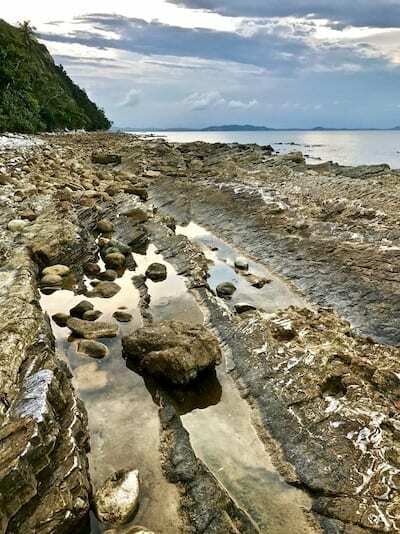 Part of the Rimba Resort beach is a rock shore – to my delight, since I have a soft spot for rocky shores. The rock pools that are left behind as the tide ebbs are sometimes rich with gobies and juvenile shrimp. At the least there would be sea snails and crabs skittering about for sure. The rocky shore along the Sibu Island north coast is particularly interesting. You can see the layered rocks in the open as they thrust upwards and out, even though the beach landscape isn’t very big. The variety of rock textures and patterns that you can observe on Sibu Island, and in surrounding islands, is also variable and curious. I went walking out to the beach one night when the tide was out. It exposed a portion of the shoreline that stays underwater in the daytime. The beach is surprisingly noisy at night. It isn’t the sound of waves; breakers are far away. The shoreline makes popping sounds! For the life of me I can’t say why. Although I learned later that the reef is indeed noisy! I also noticed strange looking blobs tucked between crevices of rock and coral. It took me while but I worked it out when I ventured into areas that still had water, smartphone light held aloft. It is what anemone looks like, when it’s out of the water. 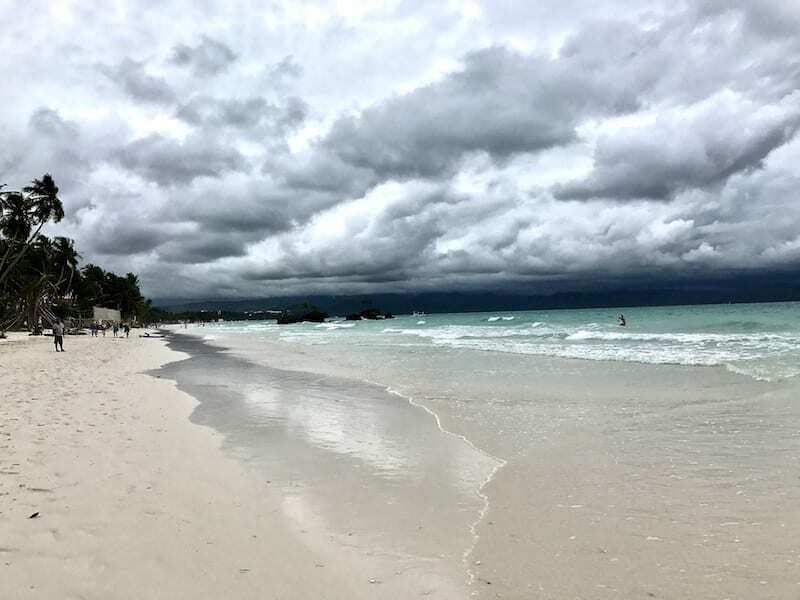 It wouldn’t be much of a paradise island if there were no sandy beaches. The rest of the north shore is sandy beach – not super fine, but still very nice. Hiking southwards from the red-veined rocks, the route to the village shifts to more beach coastlines, where the other resorts are located. The north and south portions of the island are connected with a narrow neck of land. There is a resort in this middle part that has the enviable characteristic of having two beaches – one on either side of the island. So… Pulau Sibu has sandy beaches… does it have turtle landings? Why yes! Yes it does! 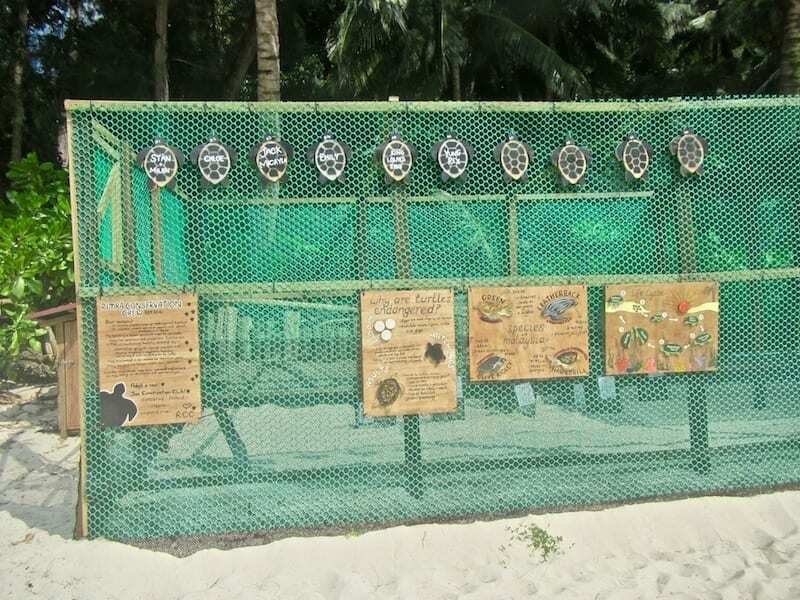 In fact, Rimba Resort hosts a turtle hatchery on its own sandy beach! At the main resort areas, the paved roads leading to the village begin. Walking on the road takes you down the western side of the island. This side of the island faces the mainland, and is where the mangrove forest is located. 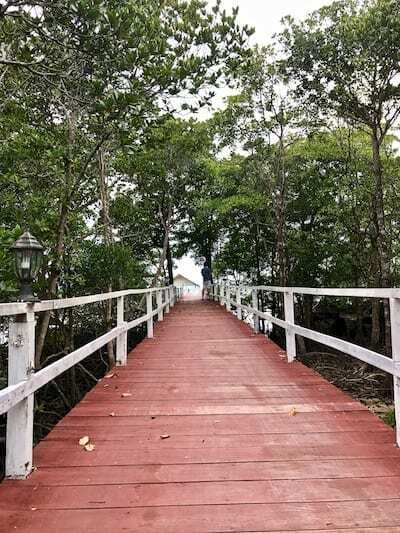 Here, there is a most Instagram-worthy jetty leading out to sea, flanked by tall mangroves. The red-stained wooden planks have faded to an attractive pink under the equatorial sun. The wood itself has warped, making the jetty slightly uneven – but in an entirely charming way! 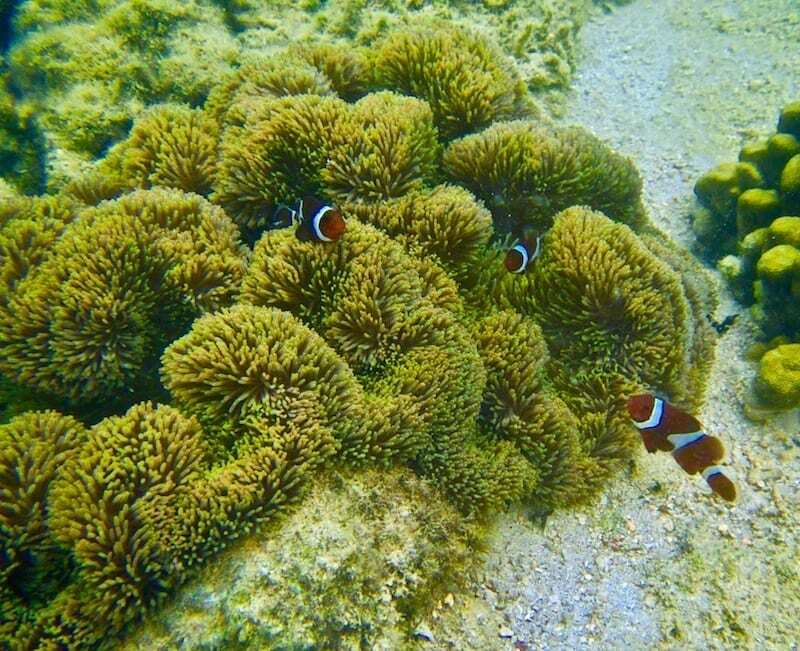 Like the other East Coast islands of Malaysia, Pulau Sibu is fringed with coral reef. Unlike its more northerly neighbours, the visibility here is more variable, since it receives more turbulence. When we were there, we were unlucky. Visibility was quite poor throughout the weekend. 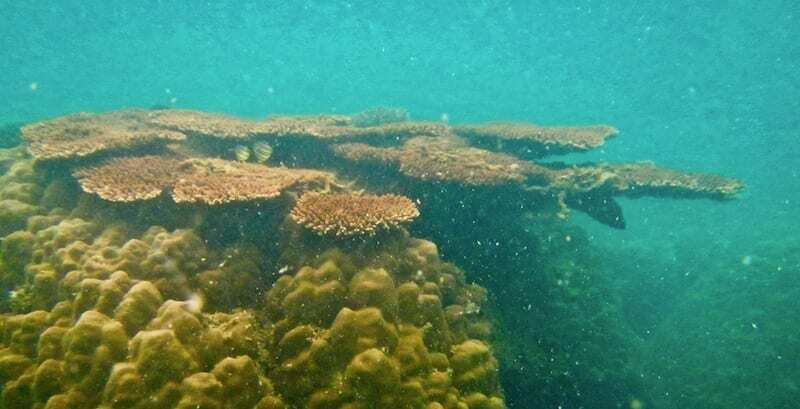 However, if you are a good enough swimmer and able to freedive close, you can see quite nice parts of the reef. 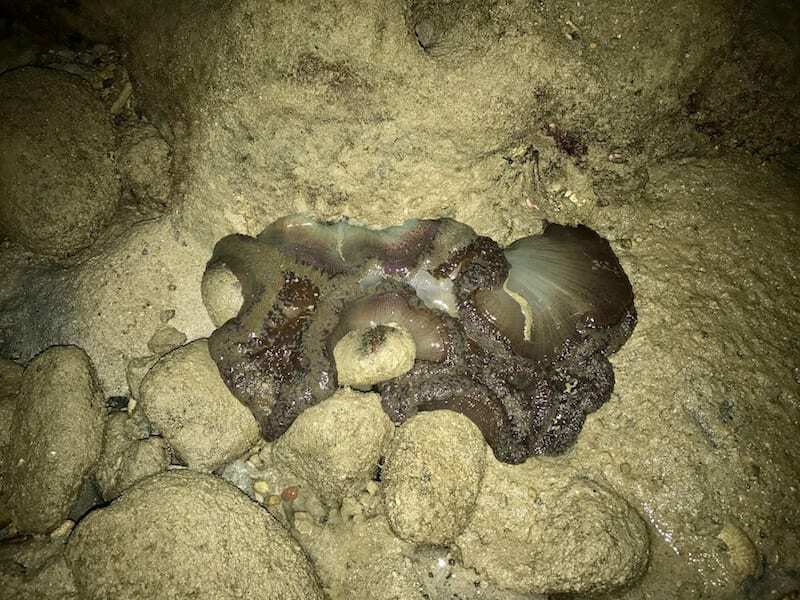 (Operative word see – do not *touch* anything in the sea in a marine park!). I thought the house reef of our resort was really good. 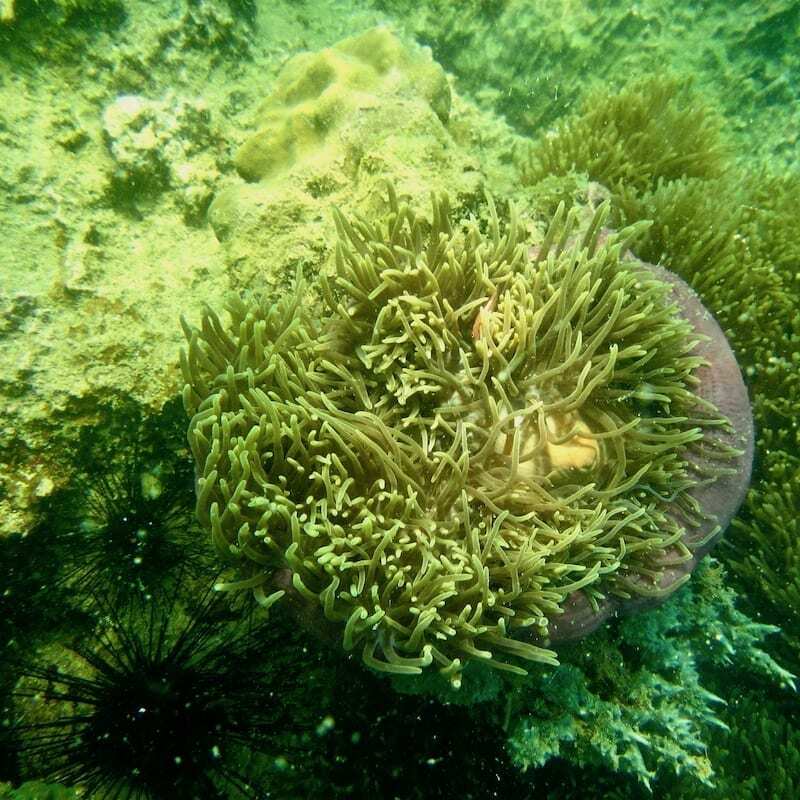 At the time of our trip, there were coral bleaching events reported all over Malaysia. This was the year of the worst coral bleaching in Australia’s Great Barrier Reef. Large expanses of the famous reef has died. Indeed, coral bleaching is now a sustained pressure on reefs around the world. Malaysia is not spared, though some islands fared better than others. But we did see quite a bit of bleaching around Sibu Island last year. Of course, Pulau Sibu also has a seagrass bed, located south of the island. It is why there is a population of dugong – albeit an elusive one – somewhere in its vicinity. The GEF-funded Dugong & Seagrass Conservation Project partners with Marine Parks Department of Malaysia to study this particular population. We were hopeful of striking it lucky after seeing footage like this. However, the tides are high in the daytime when we visited, and the visibility poor. So we could not see the seagrass beds of Sibu Island nor its resident dugong. In hindsight, this may be why the dugong still survive here compared to other locations with clearer waters. This particular population may owe its continued existence to its evasive, mistrustful behaviour and the cover of its sometimes-turbulent habitat. OK, so Sibu Island doesn’t literally have all possible coastline types. It doesn’t have the salt marsh, for example. But it does seem to have all the climatologically plausible ones! Also, aside from the coastal variety, Pulau Sibu’s northern interior is still forested. What this means is, if you stay towards the north part of the island, you would get a taste of the jungle as well. Indeed, ‘Rimba’ means forest in Malay. 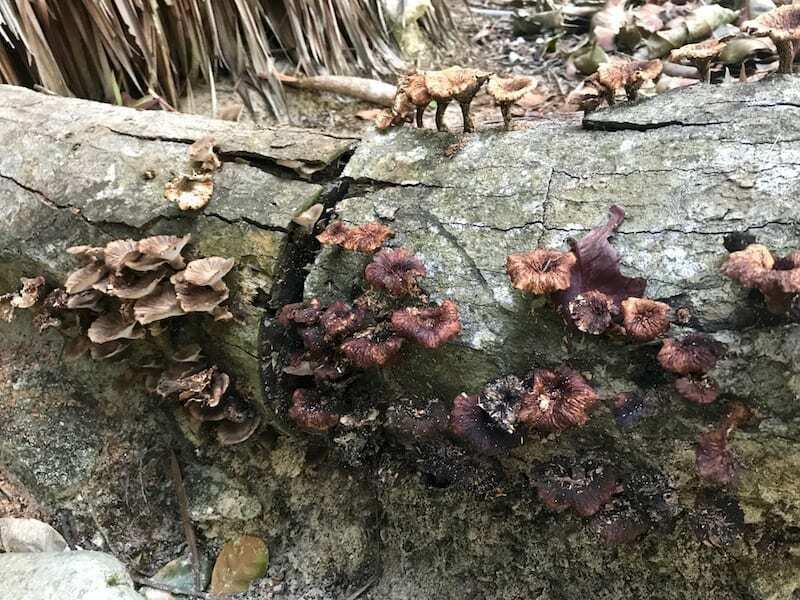 The wood stumps and deadwood in the resort grounds frequently sport mushrooms. And on two different nights I returned to the chalet and found a curious jungle insect on the mosquito netting around the bed. 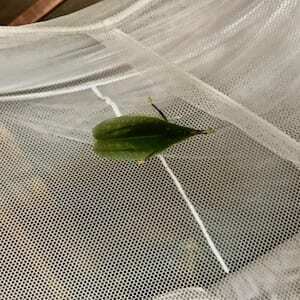 One of them was a beautiful leaf insect! Coconut palms complete with village stream, despite the small size of the island and the village! 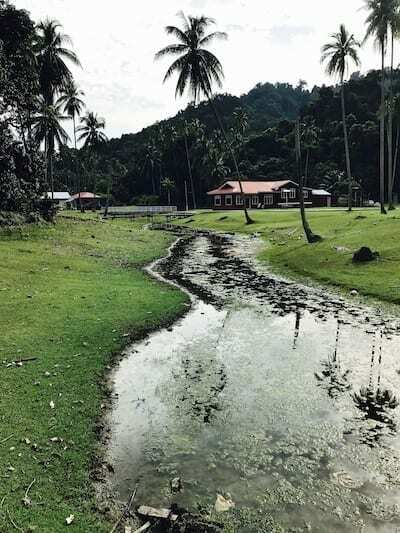 Pulau Sibu is inhabited, and has a small village. 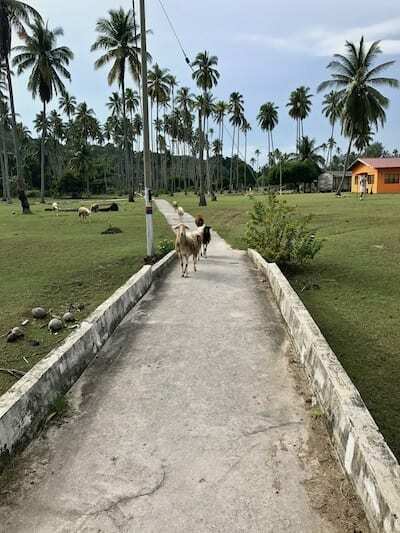 Although it is a village of fishermen, there is also a coconut grove in the middle of the island, which makes for a rather arresting, charming rural landscape. I personally have not seen a flat plain of coconut groves like this in any other Malaysian island. Apparently, once there were more. But the coconut growing activity is less seriously done now. The village’s main strip fronts the main jetty. Here there is a short row of shops, selling simple groceries and confectionery, and a typical Malaysian style local cafe. We had breakfast here as my friend told us a little bit more about island life and we caught up on news. The tourism level on Pulau Sibu has dropped since its heyday, nor did it ever reach the high levels of its northern neighbours, such as the Perhentians. So it is in that sweet spot where it does have high quality – albeit understated – resorts, but has not lost its character. The feral cow wants some Hari Raya snacks too? However, it also means that egalitarian village manners still apply in the public spaces, rather than ‘service’ manners. For example, you would be served complimentary local Malay confectionery and cookies, even if you came as a paying customer. Especially if you came just after Eid, like we did (yay Hari Raya tidbits!!!). On the other hand, you would be judged for not clearing away food wrappers and rubbish yourself, even if bought from that very shop. Not to your face, no. So it’s not like you would ever know (oh, was I not supposed to mention this?). But you’d be ‘those people’ they wonder about to the properly brought up ones who know how to be tidy (like *ehem* us, heheh). Did you say feral cow?? Ah….. yes, as if hosting multiple shore ecosystems in a tiny circumference was not enough uniqueness. There are also the feral domesticated animals. No, I don’t mean wild animals that became domesticated. I mean, domesticated animals who have since gone feral. I have to say, this totally daft, random thing of Pulau Sibu is what catapulted it to among my top favourite islands ever. The wild cattle of Sibu Island! 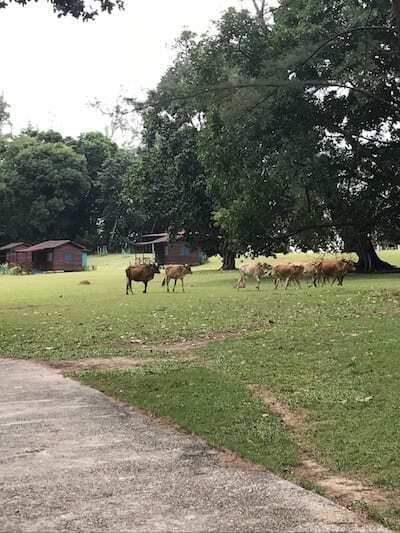 Pulau Sibu today has a population of wild cattle, thought by now to outnumber the human residents. It is quite normal to see random small herds of cattle passing across grass lawns, or poking around garbage cans, nosing up to restaurant tables, and strolling up and down the main thoroughfare like (extremely) oversized stray cats. Wandering around the more open spaces of the island, you will soon notice cow dung on the ground. It’s not so widespread as to make walking unpleasant, so I reckon there must be some kind of cleaning duty to at least keep the paved roads reasonably clear. To best appreciate this phenomenon, you need to consider that cattle rearing is not traditionally a thing in this region, especially on fishing islands. A glance through the supermarket aisles in the cities reveals this immediately: all the ‘good’ dairy products are imported. We Southeast Asians are not a dairy nation. But at some point, a bright spark decided it would be a great idea to rear cattle on Pulau Sibu. You know, for meat and dairy. It was not a terrible idea, except that animal husbandry isn’t really a culture on the island. So in the end the cattle were just left to range free. I expressed my wonderment that there is a place in Southeast Asia where there’s food simply wandering about unmolested. Why, not even mainlanders have attempted to ‘repatriate’ the cows? And if the venture failed, why did the villagers tolerate the cows (and the dung)? Aren’t they upset? And, don’t they know of the murderousness of cows as the most deadly animal in England? 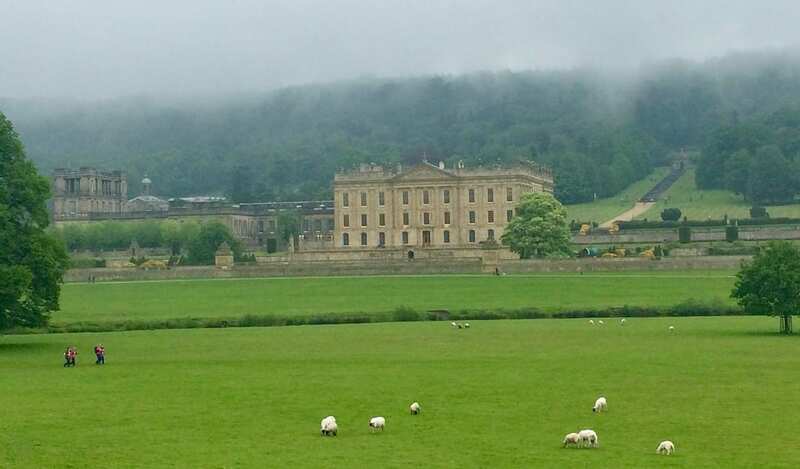 Well, apparently, the lovely green grassy lawns on the island were a recent development – due to the manure of the cows! So on balance, even though nobody was interested in the cows for meat and milk, the people still prefer for them to stick around! The tropical sheep of Sibu Island! As if the cattle were not enough, on our first morning walk with my friend on this charming tropical island, quizzical eyes confronted me from the other side of a foot bridge. Now, I can be pretty assertive to my own species, but am usually meek with animals with any kind of bossy tendencies. (Yes, I am aware that sheep are notoriously supposed to be the opposite of bossy). I let them pass. In my defense, it was partly also because I was gobsmacked by the sight of woollen sheep wandering about an island in a famously hot and humid tropical country. So I asked my friend about that. He chalked it up to yet another agricultural scheme that didn’t quite take off as intended. So… feral sheep and feral cows? I didn’t ask how the sheep bargained for their unmolested existence. 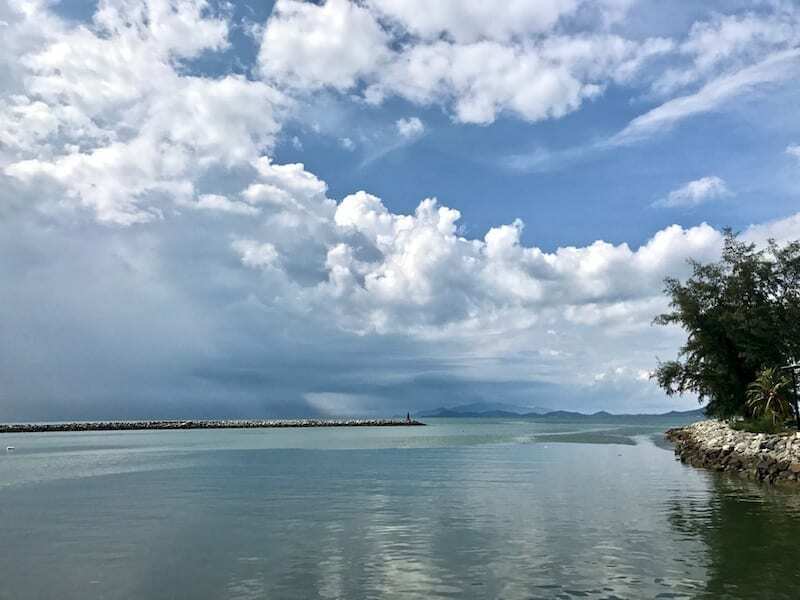 On top of being pretty amazing on its own, Sibu Island is also close to several smaller, uninhabited islands within the same Marine Park zone. These are the places where resort excursions would take guests for island hopping and snorkelling. However, even if you never venture into the sea beyond a frolic in the shallow water, the islands themselves are breathtaking. Lima Besar Island, for example, has fine pale sand. With a bright clear sky, there is a kind of haze in the air that lends the atmosphere an almost otherworldly unrealness. 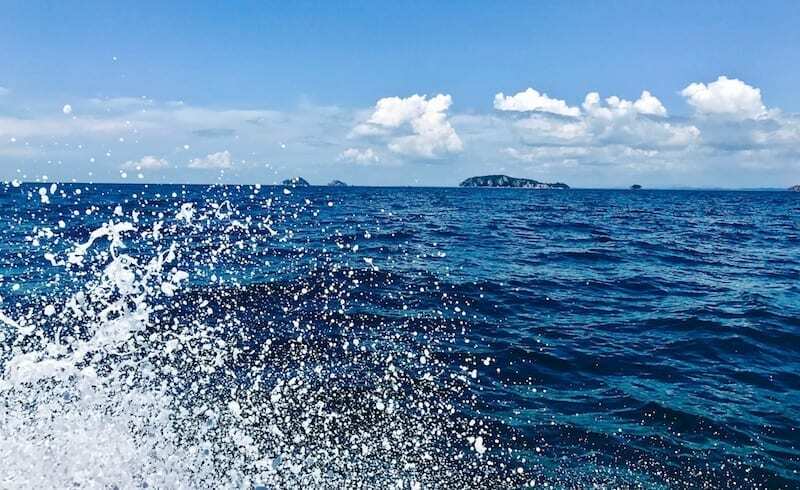 The speedboat splashed waves across the sides of the boat, throwing rainbows with every wave crest. We went to two islands – Pulau Kukus to help my friend survey the reef there for bleaching, and Pulau Lima Besar with a resort excursion. Pulau Kukus was pretty badly bleached then. 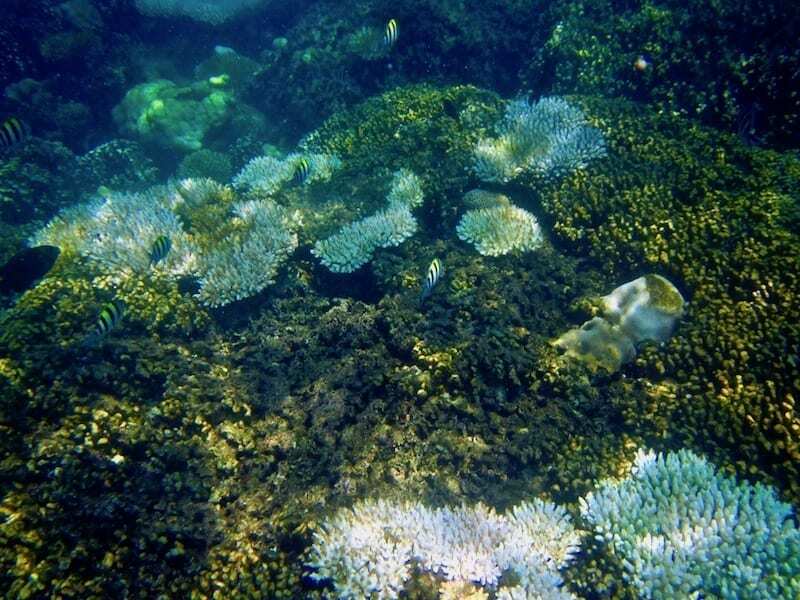 Sections of the coral reef were entirely white. It was very sad to look at. The reef at Pulau Lima Besar fared a bit better. The sections away from the boat approach, seemed to stay mostly healthy. The sea was rougher here, though, and the waves rolled higher. You would need a higher degree of water confidence to venture to this end of the island. Perhaps the churn in the water keeps mixing a flow of cooler water, helping to keep temperatures below stress levels. Not all islands in the area are technically open to the public. Some have been bought over by the Johor royal family and are private property. You’d know which ones these are, if they are left unoccupied. They’re the ones with the no trespassing signs. I suppose in a roundabout way, it might end up serving a good purpose if it limits the exploitation of the islands. 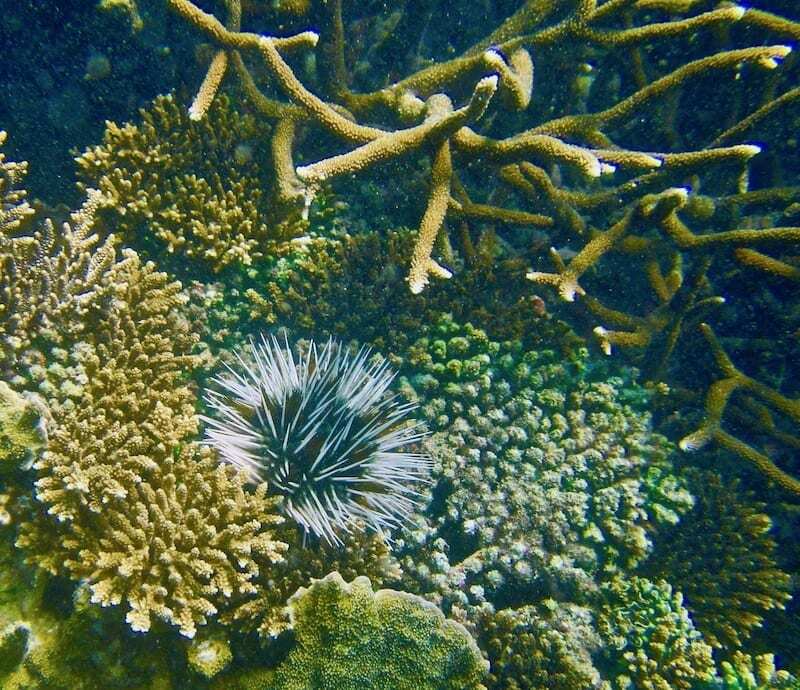 Thus making it more likely that the tourism use of Sultan Iskandar Marine Park can be kept within the carrying capacity of the ecosystem. My travel partner drove most of the way back. It afforded me a rare chance to simply enjoy the drive, and get to look around for a change. 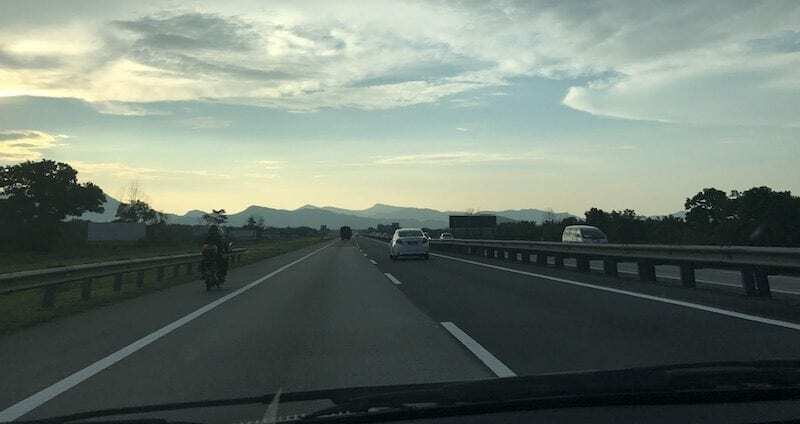 And so for once I have photos of what the view looks like on a Malaysian road trip – normally not a safe thing to obtain, aside from possibly in the state of Perlis. 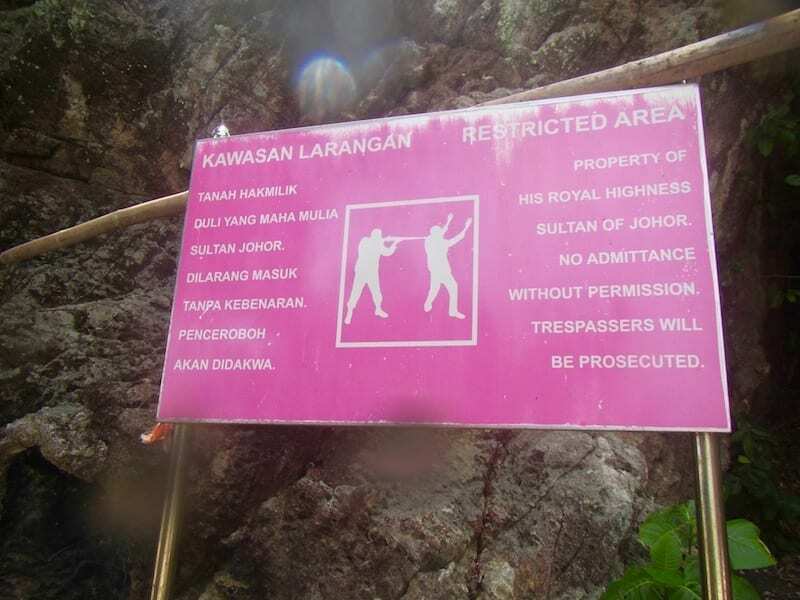 It also led me to notice a sign I did not see during the drive towards Mersing at the start of the trip. If you were so inclined, you could add a stop to this Malaysian road trip to see the fireflies of Kota Tinggi. Next story Did We Find the Hidden Sibu Island Mermaids? Oh if you are looking to assemble a little bit of an offbeat SEA trip, I definitely recommend Pulau Sibu. Check out my other Malaysia stories for other ideas!